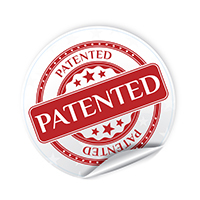 There are multiple avenues to consider when filing a patent based on the specifics of the situation and the inventors. The first available option (and the one most commonly used at universities) is a provisional application. The importance of provisional patents stems from the patent system’s usage of a first to file system, which dictates that the first party to file a patent for a technology, rather than the first party to invent the technology, is granted the rights for the invention. There are four application types: a design patent application, a non-provisional application, PCT application, a design application, or plant application. Design patent applications are used to protect the visual elements of an invention, while utility patent applications provide protection for the function of an invention. Both non-provisional applications and PCT applications are utility patent applications. Non-provisional applications are U.S. examinable patent applications. PCT Applications are “international type” patent applications that allow for a single streamlined process through which to file the application in the U.S and/or internationally. Plant patent applications provide patent protection for the inventor of a new variety of plant, preventing others from reproducing and/or selling the plant. It is important to keep in mind that after the non-provisional patent application is filed with the USPTO (United States Patent and Trademark Office), additional information cannot be added. After an application is filed, notice is given regarding whether or not the application is considered complete by the USPTO. Following notice of a completed application, an examiner is assigned to determine whether or not the application meets official requirements of patenting. A response may be resubmitted following a rejection, and if the patent application is rejected twice, an appeal may be filed with the Patent Trial and Appeal Board (PTAB) or the applicant may request continued examination (often called an RCE which includes an associated fee) to continue examination of the patent application by USPTO. If a patent application is approved, a notice of allowance is sent out explaining the necessary issue and publication fees. Later, after the fees have been paid, the patent will proceed to issuance and be granted. The letters patent is sent out on the patent’s issue date. In order to keep a patent in effect, maintenance fees are due on a set timeline. The maintenance schedules vary by country and patent type, for example the fees for a utility patent are due at 3-3.5 years, 7-7.5 years, and 11-11.5 years and may not be paid early. Once a patent term has ended, the patent is deemed expired. The Office of Technology Transfer at Emory University filed more than 150 patent applications last year. Although the patent process is not completely straightforward, we, at the Office of Technology Transfer, are here to help guide you through the journey.